HC 8643 is a Leyland Lion PLSC3 some sources omit the P prefix for 1930s Leyland single deckers, but I’ve no idea why, new to the County Borough Of Eastbourne in 1928. It has Leyland’s own B32R body – with door – and we see it arriving at Duxford on 28 September 2003. This second view shows the fleetname and crest. The Lion was a very successful model. The initial letter ‘P’ stood for pneumatic, indicating that it was devised from the outset to accept such tyres rather than being a conversion from solids. The 1926 vintage Lion was designed by J. G. Parry Thomas, who very soon afterwards turned his attention towards the car racing world. It was powered by an overhead valve four cylinder engine of 5.1 litres driving through a four speed crash gearbox, all mounted in a dropped frame chassis, though this was not as low as that on the Rackham designed six cylinder Tiger that appeared in the following year, 1927. According to G. G. Hilditch, who had one at Halifax for a time, the Lion had a top speed of about 25 mph, well above the legal limit of 12 mph that was then in force for buses. Thank you, Roger, for the explanation of why some had the P and some did not. The PLSC lion was replaced in 1929 by the Lion LT1, and at the same time the Lioness PLC was replaced by the Lioness-Six LTB. The Cub Passenger models (except the REC) carried a P as part of the designation, eg Cub SKPZ2, the first three Gnus were TEP1, although the later design with front end as the TEC1 Steer wagon was the TEC2. P on post-war Leyland models from the Comet to the Titan meant Passenger. I think that we’ve had this discussion about the PD/PS Leyland codes before, Stephen. The generally accepted view is that the ‘P’ stood for ‘post war’ in the passenger models, just as the Daimler ‘V’ in CVG/CVD stood for ‘victory’. Having initiated the ‘P’ classification in 1946, Leyland stuck with it for several years afterwards, by which time the understanding may well have changed to ‘passenger’. Roger, it was "generally accepted" for many years that the 27ft Leyland Titan body was the Farington: only it has now been found that was the final 26ft style. Doug Jack for one concludes that Passenger was intended. He had access to the Records. If post war was meant then surely it would have been applied to the freight range as well. Stephen, this is a debate that, like the meaning of ‘RT’ and ‘SOS’ continues to run and run. The PD1 was originally designated the TD9 (the TD8 was the projected utility chassis that didn’t materialise), so the subsequent use of ‘P’ for ‘Passenger’ seems illogical, as, indeed does the classification ‘Passenger Double Decker/Passenger Single Decker’. The ‘P’ there is surely redundant, since lorries don’t fall into those categories. 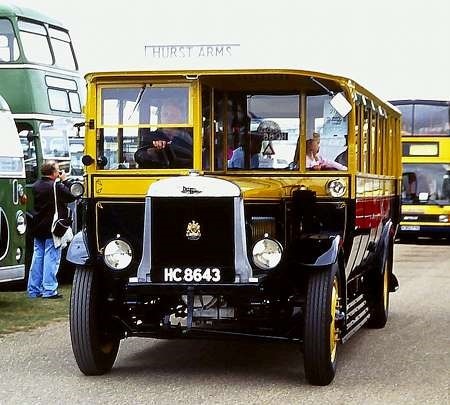 Unlike the haulage range, for which a variety of names was adopted, the bulk of the passenger range from Leyland in the early post war years consisted of Titans and Tigers, model names that were carried over from 1939. Given the general public and political mood if the time, I remain convinced that the ‘P’ stood for ‘post war. ‘Passenger Double Decker Type 1 makes no sense when seven versions of the Titan had preceded it. John Banks, for another, agrees with the ‘post war’ understanding, but I am sure that this debate will never be finally settled. The menmonics were designed, I’m sure you are aware Roger for the convenience firstly of Leyland production staff and secondly to enable the customers to order the right spare parts. In a way it is immaterial what the letters actually stood for, although we all want to know. The first Leyland peacetime model was the 12.IB ‘Interim’ Beaver with the same drivetrain as the PD1/PS1 which could on your contention have been the ID1/IS1 as they were also intended as interim models until the "O600 TD9" and its single-deck version became available. The major difference was the frame, which was dropped for a Passenger application, wheelbases and spring rates then determined the differences between the Tiger and the Titan, so if we disregard names they were always variants of the same passenger model. If you are right then Leyland designated the Comet bus as Postwar and not the Comet Lorry, although both were launched in 1947, that would be bizarre. I am afraid that I remain unconvinced, Stephen. In the cases of the Titan and Tiger, I believe that the change in the initial letter from T to P was intended to mean ‘post war’. The Comet was a haulage model that was adapted to passenger functions, and yes, the ‘P’ did signify ‘passenger in the designation CPO1 etc. However, I think you are reading a degree of consistency in model naming that was probably never there. If your theory is correct, the Comet bus/coach should have been called the PCO1. In the Comet, the letter ‘O’ stood for oil engine, but the same letter ‘O’ was used in export Tiger models such as OPS1 and OPS2, in which case it meant ‘overseas’. God Forbid I should accuse any manufacturer of consistency in nomenclature! The OPSU1, 2 and 3 were replaced by the ERT2 3 and 1, while the Leyland designed BUT ETB1 ran concurrent with both. The OPSU3 had been forgotten when the 36 foot Leopard became PSU3, and not L3, the RTC and L1/L2 being replaced by PSU4 in 1967 and PSU5 launched in 1968 which is 23 years after the end of World War two. AEC is presumed to have chosen 2 for semi-automatic transmission and 3 for synchromesh based on the number of pedals, but when a constant mesh gearbox came from Thornycroft, that became 4 (still using three pedals) and the ZF torque converter option on Swift became 5 (still using two). It is more than probable the P used in Swift and Sabre stood for Panther. Also as the PSUC1 designation came before the Tiger Cub name and that chassis used modified Comet running units rather than anything from the Cub discontinued 12 years earlier that the C originally stood for Comet. Photograph shows an all-Leyland Lion PLSC3 which was new to East Yorkshire Motor Services as its fleet number 97 in 1928. It is seen here in a later life as a Mobile Canteen for Sheffield Transport Department crews. The Sheffield coat of arms can be seen on the side panel and the tea-making equipment can be seen inside. Sheffield has a long history of giving withdrawn buses an extended life as gritters, tow-trucks, overhead works towers, mobile libraries, etc but it is unusual to have taken a vehicle from another operator for these purposes. 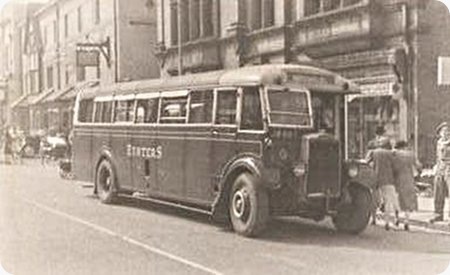 My Sheffield records are very extensive and I can find no record of this having been used as a service bus and conclude that it was bought from EYMS for the job it can be seen doing so well. This certainly seems to be an oddity, Les, as my records show WF to have been a Sheffield mark. East Yorkshire, being based in Hull (sorry, Kingston Upon Hull to give the correct title) would normally be expected to use marks from the local issuing Authority, not ones from elsewhere – even other areas within Yorkshire. Pete. WF was only a Sheffield mark after the 1974 re-allocations, when many local offices were closed. In 1928 Sheffield marks would have been W, WA, WB, WE, WJ, and would be until 1974. WF was only a Sheffield registration after 1974, before that it was East Yorkshire. An odd co-incidence really. WG also made the same move, this time from Stirlingshire. I stand corrected! Thanks for the update. WF 1170 wasn’t a loner in the EYMS fleet but part of a batch starting, I think, somewhere about WF 1152 (fleet no 79 to WF 1171 (98). There were many other, unrelated WFs as well as these Lions. VO was, as Dave Oldfield suggests a Mansfield, or Nottinghamshire reg, so maybe it was with one of the smaller operators in the East Midland area? I’ve just realised one of the reasons the registration on the Lion feels odd is that it was an East Riding mark, whereas all the fleet I knew had Hull registrations. According to the PSV/OS fleet history no. 97 (WF 1170) was withdrawn in 1939 and sold to the War Department in August 1940 and had passed to Sheffield by July 1945. 27 buses delivered in 1928 to EYMS had WF registrations, the first to have Hull registrations being sixteen Tilling -Stevens nos 104 to 119 (KH 6971 to 6986) also in 1928. Thereafter all new buses seemed to have Hull registration marks. 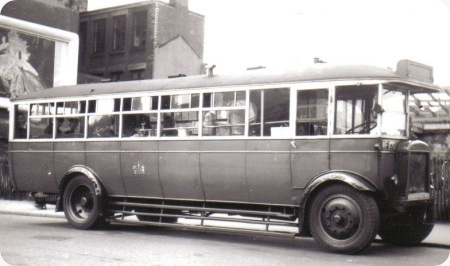 97 was one of several buses on hire to the South Staffordshire Regiment, Welton in June/July 1940 before being requisitioned by the War Department. It was last licensed by Sheffield in July 1955. Sorry to throw a spanner into the works over the registration letters WF, but, as David B points out, this was an East Riding mark, not Kingston Upon Hull. EYMS always used Hull registrations – AT, KH and RH. 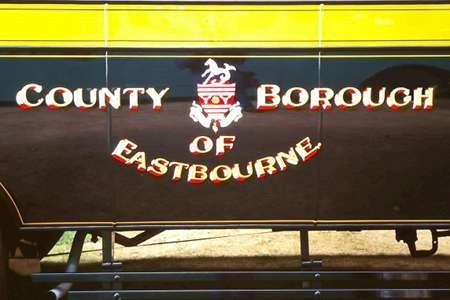 Some of their vehicles did have WF registrations, (along with BT, the other East Riding letters), but these came from acquired businesses such as Everinghanm Bros. Therefore, if this vehicle was indeed delivered new to East Yorkshire, its acquisition of WF letters, as well as the other vehicles Les mentions, would be a stark anomaly. It still just doesn’t sound right. Changing the subject – I’m no expert on Lions or Leyland bodies, but doesn’t the driver’s door seem a bit far back for the steering wheel? Or is it just the angle of the photo? Keith Eastons excellent fleet list for East Yorkshire Motor Services Part 1 – 1926/1941 can be viewed at this link. Clearly EYMS did not always use Hull registrations – only with the arrival of 104 to 119 were Hull’s marks first used and of course continued to be used. Remember that EYMS was newly formed in 1926 and had inherited several companies and premises and it is possible that it took time to sort out its approach to registrations. Several premises until 1929 were outside the city including the works and offices at Anlaby Common until Offices were opened in Hull in 1927. See also pages 10 and 11 in the excellent John Banks book, page 16 in the Ian C Gibbs book and page 12 in the Keith Jenkinson book. Thanks, Peter, Malcolm and Keith for putting me straight. I stand well and truly corrected – not for the first time, but, as my old Dad used to tell me, if you’re always frightened you might be wrong, you’ll never open your mouth. Remember Ctrl+ to zoom in Ctrl0 (zero) to get back. That is a great posting, Dave Careless. Thanks for sharing it. Superb piece of history, Dave C.
Love the Tons/Cwts/Qtrs/Lbs. What a nuisance metric calculations are, compared with simple Imperial! Glad you enjoyed it; I like your comment about Imperial vs Metric, Chris, quite funny. Hard to imagine that by the time this vehicle was finally withdrawn, tea was probably still only available in loose form; I wonder how many cwts of tea leaves it got through every week ?! !